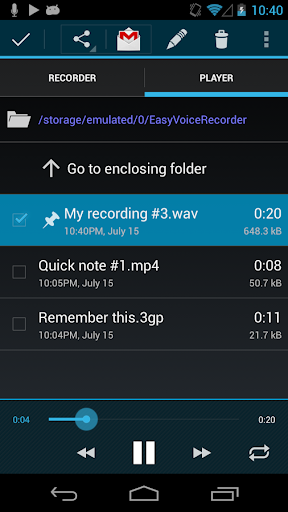 Easy Voice Recorder Pro v1.7.5.a – Easy Voice Recorder Pro is a fun, simple and easy to use audio & voice recorder. Use it to reliably record your meetings, personal notes, classes, and more, with no time limits or ads! 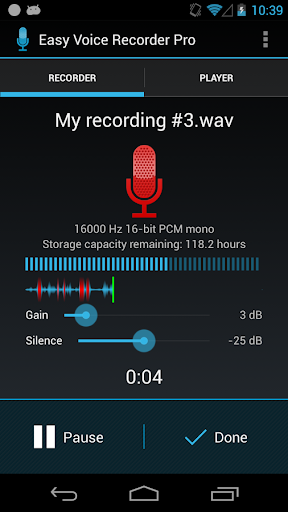 – Fix crash when selecting a playback notification after closing the app. – Fix KitKat issue with notifications after switching to pro from free (Tasker / Locale users: this will require task recreation). – Other minor bugfixes and improvements.